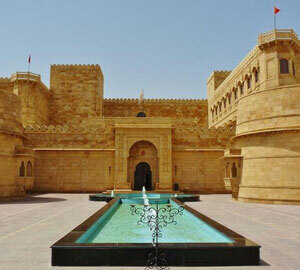 Suryagarh, Jaisalmer is your gateway to the Thar Desert. We believe we are not just a hotel, but represent a unique way of life, carefully preserving the traditions of our past yet framing them in a modern idiom. At Suryagarh, luxury is imbued with thoughtfulness that makes this the ideal venue for that do-nothing, go-nowhere holiday. Each of our living spaces combines traditional and modern design for harmonious living. At Suryagarh, you can feast on Indian and International favorites in our all-day dining restaurant Nosh and relax in our stylish bar, Draksh. Our signature dining venues offer memorable experiences, remarkable in every way. 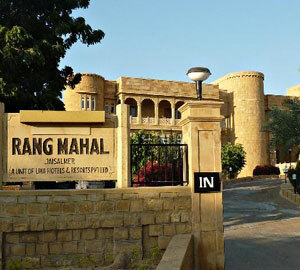 Hotel Rang Mahal, Jaisalmer – A Palace Hotel located in Jaisalmer, Rajasthan where traditional hospitality of India can be experienced at its very best. The huge fortified city of Jaisalmer is situated far out in the Thar Desert. We have a large inventory of 118 well-appointed rooms and suites which offer elegance, comfort and are fitted with all the latest technology. All of our rooms at the Hotel Rang Mahal, Jaisalmer feature ample work-space, an extensive array of amenities, and high-speed internet access to ensure you stay in touch. Experience mouth-watering cuisine and impeccable service in breathtaking surroundings at the Hotel Rang Mahal, Jaisalmer's Restaurant Cuisine that is typical of many cultures worldwide either by virtue of obvious use of local ingredients and similar preparation methods. We have a team of world class chefs who has an excellent experience to savor the guests from any part of the world. Also referred to as the Nachna Thikana, Nachna Haveli has now been converted into a hotel full fledged with modern comforts. 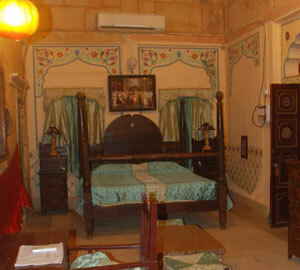 Nachna Haveli, Jaisalmer provides excellent accommodation facilities to its guests. The hotel offers 13 well furnished and tastefully decorated rooms to its guests. The rooms are spacious and well equipped with modern facilities. Nachna Haveli promises to provide its guests with a memorable and a fine dining experience. The hotel serves wide variety of cuisine from across the regions for its guests. Be it Indian, Continental, Chinese or local Rajasthani delights you will get everything at Nachna Haveli to satisfy your hungry palate.